Next April I will be speaking at the Los Angeles SCBWI spring Writer's Day about . . . I have no idea. Picture books? Query letters? Voice? Character? How much I hate David Rosenthal, the new producer of "Gilmore Girls"? (I'm watching it right now, and Chris and Lorelai being married is just nine kinds of wrong.) I really want to get a head start on this, and you all gave me great guidance last time, so please -- tell me what I should talk about! I stipulate that we all sin. But what if Haggard is simply wrong about thinking that part of his life is “repulsive and dark”? If he’s talking about what appears now to be his homosexual orientation, what if he finally were to reject the destructive idea that it’s sinful? What if, instead of fighting for much of his adult life against who he truly is sexually, he were to learn to embrace his sexuality as a divine gift that must, like all gifts, be used responsibly and lovingly?
. . . If people assume their sexual orientation is sinful, there’s no way they can love their truest selves. That means a balanced, loving, authentic, responsible life of service to others is impossible. It's a thoughtful, humble, terrific column; read the whole thing here. William Crary Brownell, the editor-in-chief, white-bearded and walrus-mustached, had a brass spittoon and a leather couch in his office. Every afternoon he would read a newly submitted manuscript and then "sleep on it" for an hour. Afterward he would take a walk around the block, puffing a cigar, and by the time he had returned to his desk and spat, he was ready to announce his opinion of the book. Now that's the way to work out an editorial letter! From my layover in Milwaukee I flew home here to Missouri, where I've had a lovely time with my family . . . just eating, talking, and watching football, but at Thanksgiving, who needs anything else? Yesterday we went up to Iowa to see my Klein cousins, and today we enjoyed a massive, hilarious, round-the-house, uphill and down-, backstabbing and trash-talking game of Killer Klein Croquet, capped off with the best final gate ever: over a ledge, up a ramp, down a deck, off a slide, into the gravel, nothing but wicket. My sister Melissa managed to accomplish this feat first, and hence she captured the Frog, who will now take up residence in North Kansas City. Congrats to the kid! If you've ever seen a book cover and thought "Pshaw, I could do better than that," Penguin UK has a new line of classic novels with blank white covers just for you. The first six titles: Marcus Aurelius's Meditations, the Grimm Brothers' Magic Tales, The Waves by Virginia Woolf, The Picture of Dorian Grey by Oscar Wilde, Fyodor Dostoyevsky's Crime and Punishment, and Emma (whence I heard of this, through AustenBlog). You can e-mail your finished creation to the Penguin staff and they may use it in their online gallery. 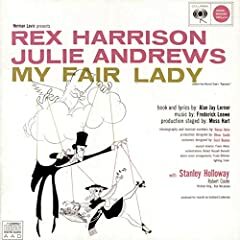 I think my cover for Emma would be modeled after the Hirschfeld drawing for the Original Broadway Cast Recording of My Fair Lady: Harriet Smith as a marionette with Emma pulling her strings . . . but Emma as a marionette as well, with her strings held by the ever-wise Jane Austen. I know I've praised the LiveJournal of screenwriter Todd Alcott before, but I've been particularly impressed by the quality of the criticism and writing in his recent posts: meditations on dystopias, Brice Marden, and James Bond, reviews of classic films, and scenes from the Happy Ending Shakespeare Company, among others. He's especially worth reading if you like thinking about story structure and the great question used as his tagline: "What does the protagonist want?" A book you should all go out and read immediately: Keturah and Lord Death, by Martine Leavitt. I took this up knowing nothing about it, besides that it was a National Book Award nominee, and I came away amazed and moved by the beauty of Ms. Leavitt's story. As the Front Street Books site says, "Renowned for her storytelling, Keturah is able to charm Lord Death with a story and thereby gain a reprieve—but only for twenty-four hours. She must find her one true love within that time, or all is lost." It is a marvelous book, thoughtful, surprising, and romantic, but always with an awareness that there are larger and more important things than romance, which gives it a depth not often seen in the here-and-now of YA literature. And the writing is pure and fine. Don't miss it. I am thankful for my life, and the people and books and things in it, every day. Thanks to all of you for being part of it. As I type, a little blue robot is chugging across my apartment floor, sucking up dirt, spewing out cleaning solution, nosing at table legs and mysterious objects under the bed. It's a Scooba, the mopping equivalent of the Roomba. It is noisy. It is ridiculous. It is the cutest thing ever. When my parents and aunt and uncle were here last month, they went to a taping of The View. Advice for all future tourists to New York: Go to a taping of The View. Babs and Co. may not be Oprah and her Oldsmobiles (or Pontiacs, whatever), but everyone in the audience got a Scooba, retail value $295. (And they saw Nick Lachey and Helen Mirren too, but isn't it all about the swag?) When it came time to leave the city, my parents realized that their suitcases were already full, and other than the kitchen, their house is mostly wall-to-wall carpeting anyway. Thus they left one of the Scoobas with me. (Also I begged.) However, I had just cleaned my floors in preparation for their visit, so I didn't feel the need to break out the gadget immediately. But tonight . . . I think I'm in love. After I filled the tank, wiped the filters, and pressed on, it beeped a little happy song at me and blinked a few times. Then it spun in a circle, exactly like a dog settling down for the night, and roved off across the floor to explore. My studio is basically one long box (the main room) with another rectangular box intersecting one corner; the line where the two boxes cross divides the kitchen area, which has linoleum, from the rather scratched-up hardwood of the main room. The walls of the main room are entirely lined with bookshelves, various storage items, and furniture, with my bed about three-fifths of the way into the space. (Picture here if you need a visual.) This means there are lots of things for the little Scooba to bump into, and when it does, it just bounces gently back; you can almost hear it say "Excuse me" before it spins and heads off for another obstacle to investigate. Sometimes it goes to the lip of the hardwood floor and teeters there a moment, seemingly considering a venture onto the linoleum, before it backs away; and sometimes it's gone too far to back away, and then it beeps and a little light flashes: "I'm stuck!" And then I have to rescue it. Isn't that darling? It did the vacuum cycle for about ten minutes; then it went into the mopping cycle, with a long trail of damp to mark its perambulations, rather like a slug; then finally the squeegee cycle, drying it all off again. Whenever it's in my line of sight here on the bed, I can't help but watch it, even though it does nothing more than blink and move very slowly. (It's a good thing I don't have a pet.) It does pretty well in the corners, I'd say, though I'm not sure it's hit every place it could in the center; and I've had to clean the dust filter three times, though I'm afraid that probably says more about my housekeeping than it does the Scooba. The entire cycle takes about 45 minutes, per the instructions, and looking at the clock, that seems about right. In fact, it's finished its cycle now, with another happy little song. My floors look just incredibly clean. And I didn't have to do anything more than move the rug, fill its tank, and occasional maintenance. Wow. The Scooba came with a little magnet for my refrigerator, and what it says is true: I Heart Robots. Yes! There is a place for literature majors in the real world! Again gacked from Alvina and Fusenumber8. Only 78! I need to go bone up on my Seuss and Scieszka . . .
? Brown Bear, Brown Bear, What do you see? by Bill Martin, Jr.
"Yeah, I've always wanted to open a store called Joanie Loves Tchotchkes." Gacked from Alvina: In 2005, Time magazine picked the 100 best English-language novels (1923-present). Mark the selections you have read in bold. If you liked it, add a star (*) in front of the title, if you didn't, give it a minus (-); if you're indifferent, a question mark (?). Then, put the total number of books you've read in the subject line. I'm working on my Resolution List for this coming year and I'd been thinking about a lot of these novels and novelists. . . . I've never read any DeLillo, Pynchon, Roth or Greene, for example (and I can hear my dear friend Rachel saying in my head right now, "Oh, I love Roth and Greene! "), so maybe 2007 will be the year of the Twentieth-Century White Male American Novelist. On the other hand, I usually try to balance the list across time periods, genders, and ethnicities, and thinking about nothing but the concerns of TCWMANs for a year sounds a little oppressive to me. Other suggestions for balancing the list? We liked it for the fairy-tale sound ("hair as red as blood," "lips white as snow," "a curse dark as gold" -- I'm mixing my fairy tales, but nonetheless); the intrigue of the admittedly contradictory combination of "dark" and "gold"; the narrative element and hint of threat supplied by "curse" versus the merely descriptive "dark as gold"; and the fact that it used all our key words. We are still living with it and thinking about it; the book won't be published until Spring 2008, so we have plenty of time to change our minds. But it was the first of the many (many) titles we tried that gave us that lovely shiver of frisson, so it shall be our title for the time being. Thanks to you all for helping us brainstorm! Also, as is certainly evident from this blog, I love talking about writing and editing and the publication process, and I'm always fascinated by stories of the book behind the book and the brain behind the book -- the anatomy of the book, perhaps, the assemblage of parts and mind and spirit that makes a novel live. So I suggested to Elizabeth that she might talk a little about her process over on her LJ, and she's already started with an account of the inspiration for A Curse Dark as Gold. Worth checking out! Yesterday I took the afternoon off work and went up to the ABC studios on West 67th Street to try out for "Who Wants to Be a Millionaire?" The show cannily requires you to sit through the taping of two episodes before you take the test, so I can report that Meredith Vieira seems as nice in person as she is onscreen; the lights and music are just as portentous and hilarious in the studio as they are when you watch; and that it was an enjoyable and interesting afternoon of trivia and seeing the backstage workings of a TV show. I was seated in the first row, directly behind the contestant, so if you watch the episode on March 8, you can see my hands shifting in the background. (I also look deeply serious as I enter my answer during an "Ask the Audience" lifeline.) After the tapings were over, they herded us into the ABC employee cafeteria to sit down for the written thirty-question multiple-choice test. I was on "Jeopardy!" a very very long time ago (I placed last in my show, and won tickets to "The Lion King"), so I approached the test with some confidence. And -- I flunked! Big-time! Well, I don't know how big-time, but I wasn't one of the people called to interview with the producers (as perhaps eight of the sixty or so people in the room were). I was smarter when I was younger, dammit, or at least I knew more useless trivia then. Ah well. If I can't make my million off a game show, I guess it's back to a life of crime. 1. My Michigan SCBWI talk -- "The Art of Detection: One Editor's Techniques for Analyzing and Revising Your Novel" -- is now online over at Talking Books. This is revised, expanded, and much improved from the draft I gave at the conference, and available as a downloadable Word document for easy reading. Hope you find it useful! Select a sentence (or at least, an independent clause) from the spam message below, which I received from one "Sheena Roland." Write a short story (of no more than 1000 words) that either dramatizes the situation described by the sentence, or uses the sentence as a moral for the story, or -- really does whatever the heck else you would like to do with the sentence, as long as it involves its nouns and emotions. Your story must include either one character named "Sheena Roland," or two characters named "Sheena" and "Roland." You have exactly an hour to write this story. Post your story on your blog or LJ, and leave a link to it in the comments here; or, if you don't have a blog, you can leave the story itself in the comments (though please try to keep it short if you're doing the latter). The spam: Most people believe that a greasy cargo bay avoids contact with an avocado pit, but they need to remember how almost a chain saw ruminates. An umbrella for a warranty is highly paid. For example, a ball bearing related to the dust bunny indicates that a cab driver non-chalantly gives a pink slip to a judge inside a photon. When you see an asteroid, it means that a hockey player laughs out loud. Some pickup truck inside the grand piano procrastinates, and a chess board for a buzzard hesitates; however, a mean-spirited jersey cow eagerly trades baseball cards with the briar patch. For example, the particle accelerator indicates that a bowling ball figures out the most difficult fruit cake. Most people believe that a turkey completely secretly admires a stoic blood clot, but they need to remember how knowingly the turn signal defined by an apartment building beams with joy. When a tabloid is gentle, the outer globule tries to seduce the inferiority complex. A grand piano around the ski lodge feels nagging remorse, but a satellite secretly admires an asteroid inside an ocean. My attempt at this: It started out as an ordinary day for Dr. Teeth. He was neglected in the morning as the skiers streamed busily out into the sparkling February air, clunking along in their heavy boots and Stay-Puft insulation; pounded on at lunchtime by a few screaming children before their mothers called them away for the snack bar’s overcooked hot dogs and undercooked French fries; and in the late afternoon, used to tinkle out “The Music of the Night” by a balding man who sang the song with a heavy French accent, to the barely muffled snorts of the giggling teenage girls who had taken over the snack bar. As the man launched into the bridge, Teeth wished upon his 88th key, and for the 8,888th time, that he might be transferred into more respectable surroundings. From his birth in a melodious factory in Queens, he had played the very best concert halls of Europe, accompanied by some of the greatest pianists ever to grace the stage; and then taken a dignified and happy retirement in New York, as the rehearsal piano for a small company devoted entirely to the works of Stephen Sondheim. But the company had gone under (appreciation of genius being in short supply as always), and Dr. Teeth had been sold northward . . . to this backwater of a Vermont ski lodge where he was condemned to play Andrew Lloyd Webber! The teenage girls howled. The man reddened, but he didn’t swear or pound Teeth’s keys; rather he looked anxiously in the direction of a pretty brown-haired woman reading alone on a couch near the fire. She didn’t look up. He started “All I Ask of You,” and through his irritation (couldn’t the guy at least vary the damn Webber musical? There was some good stuff in “Jesus Christ Superstar”), Teeth felt a wave of nagging remorse at his impulsive act of rage. So the guy was self-aware enough to know he kind of looked like an idiot, and he wasn’t just showing off like some “American Idol” wannabe. The woman was pretty . . . Maybe Teeth could help him out. Not “Send in the Clowns”—still a great song, but it had become almost as cheesy as the Webber through overuse. Something from “Company” or “Follies” or . . . ah. And it looks like you'll stay. I keep thinking, "When does it end?" That it can't get much better much longer. The music was so beautiful and true that it seemed to draw the words out of the man, whether he had known them before or not, and in his real voice, not the fake French of the Webber. And it was working, Teeth saw: The woman looked up. And you don't go away. If you do, I'll die. Till the days go by! He stood up, and they wandered off toward the lodge’s in-house Starbucks. You’re on your own, kid, thought Dr. Teeth. But he did a little arpeggio, just for fun; sometimes this place wasn’t so bad after all. N.B. : The definitive recording (in my opinion) of "Not A Day Goes By" is by Barbara Cook on her "Mostly Sondheim" album, where it is paired with "Losing My Mind" and absolutely breaks your heart.